business Archives – A Write Old Life. Here it is. The most useful book I’ve ever read on the writing process. As someone who has written in pretty much every type of genre and format possible, I’m often asked for advice by others keen to follow in my blood and sweat stained footsteps. Whilst such requests are flattering, suggesting as they do that I know what I’m talking about, I tend to avoid questions of this nature because the truth is that there is no real mystery to writing. In fact, be it novel, non-fiction book or even screenplay, there are only really two things you need and if you have both, you’re already well over halfway there. However, if you have only one, you’ve got nothing. What are those two magic elements? They are, quite simply, a decent story and motivation. Decent stories are, to be fair, reasonably easy to come by. Motivation isn’t. indeed, of all the things a writer needs, motivation is often the most difficult thing of all to source and retain. For that’s what will drive you on to write, learn, develop and finally, to finish. So, with that in mind, I want to do something I never thought I would ever do. I want to recommend a book to anyone looking to write for either publication or screen. It was written by a chap named Brad Burton and is called Life. Business: Just Got Easier. Yes that’s right, it’s a business book. I won’t go too deeply into what Brad says or how he says it but what I can tell you is that whilst it might not teach you anything about the craft or technicalities of writing, it certainly will teach you everything you need to know and more about the process of keeping yourself motivated from blank page to ‘the end’ and beyond. Just as importantly, if you treat each individual project as a small business in its own right (which is exactly what each is if you think about it) it will show you how to manage them and your time more effectively. It’s amazing stuff and it has certainly worked for me. I can’t see how I can give it a higher compliment or recommendation than that. 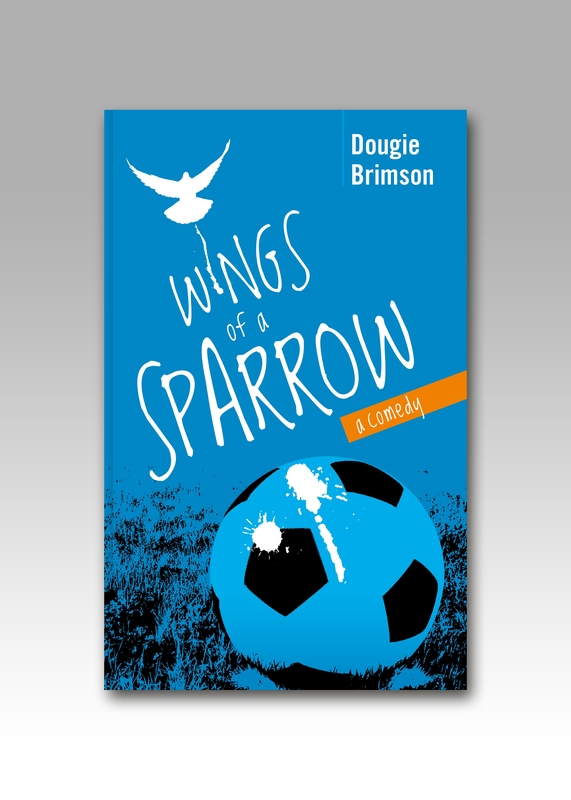 My numerous books including the football comedy Wings of a Sparrow and the #1 thrillers,The Crew and Top Dog are available from both Amazon and iTunes. Please click on the relevant link for more information.